Moving day is just around the corner and you probably feel your stress levels are getting higher. But if you have followed the instructions on our moving checklist, you’ve done all major tasks to get prepared for the big day. See what else should be done a few days before moving day. Use up perishable contents of your fridge. Arrange for pets and plants to be transported. If you happen to grow and care for plants in home, you have to decide what to do with them. If you are not taking plants with you, you could bestow them on your friends or relatives, or donate them to a hospital or other organization. However, you could risk taking plants with you, but usually moving companies cannot guarantee their safe moving because they may suffer from lack of water and light as well as temperature changes while in the van. Moreover, you should get informed if entry of house plants is permitted in the area you’re moving to, or if there are specific rules and regulation for their entry. You should also check whether you have all health certificates for transporting your pets and arrange the most appropriate transportation method for them. Collect things you’ve loaned. Collect items that are being cleaned, or repaired. Get your stuff out of all lockers you keep (at the club, gym, etc.). Refill prescriptions you’ll need during the next couple of weeks. Plan what goes in the car with you and how children are supposed to travel. Reconfirm the moving company’s arrival time. Think of any other specifics to include, such as exact directions to the place you’re moving to, and your cell phone number. 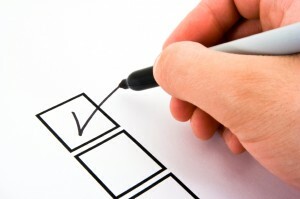 This entry was posted in Moving checklist on August 6, 2014 by Izzy Removals.